MONTHLY photos contributed by our members for March - 2018. Pine Siskin. 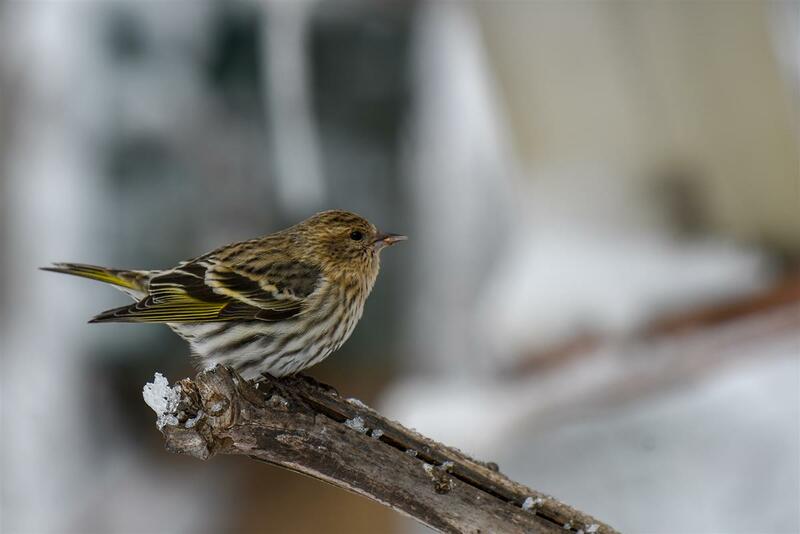 Snow storm brought a large number of Pine Siskin to the feeders. 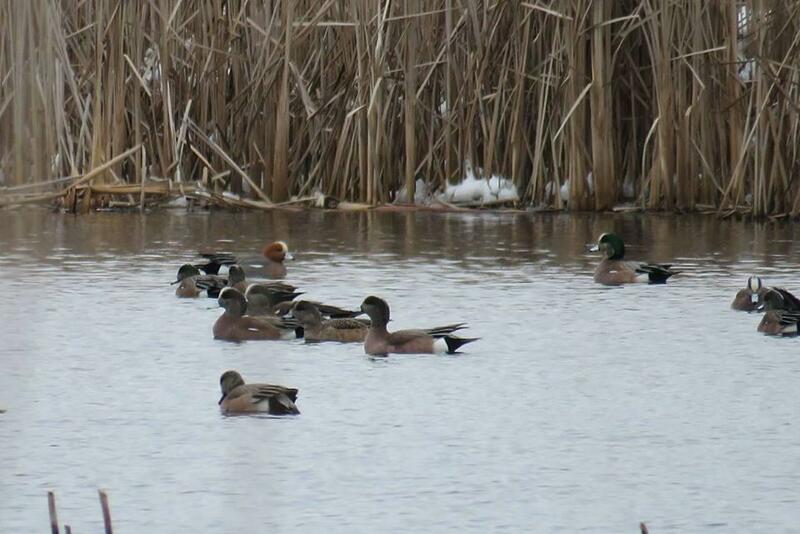 Peter Yoerg found a male Eurasian Wigeon on the 3rd at North Feeder Marsh on the Tonawanda WMA. Kyle Brock photographed the bird on the 6th. 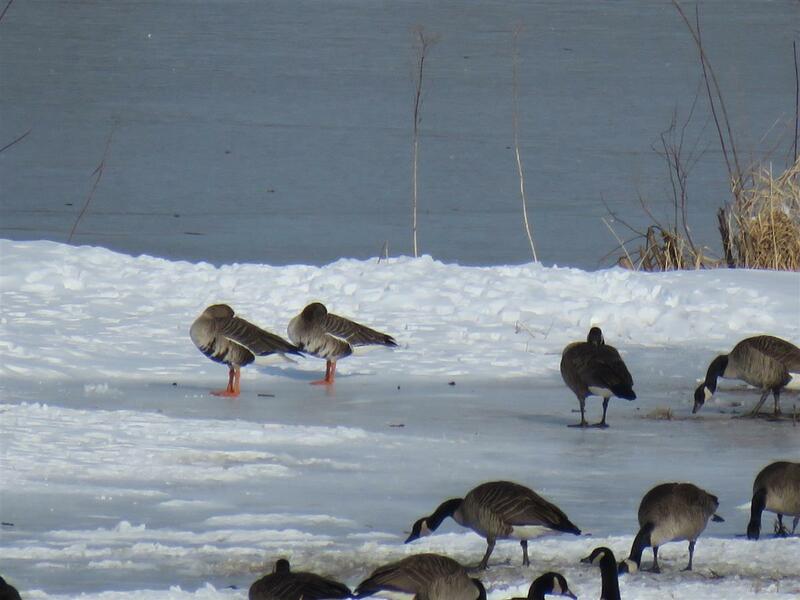 Sue Barth found 4 Greater White-fronted Geese at Winter's Pond in Langford on the 4th. Two birds continued into the 5th when this photo was taken. 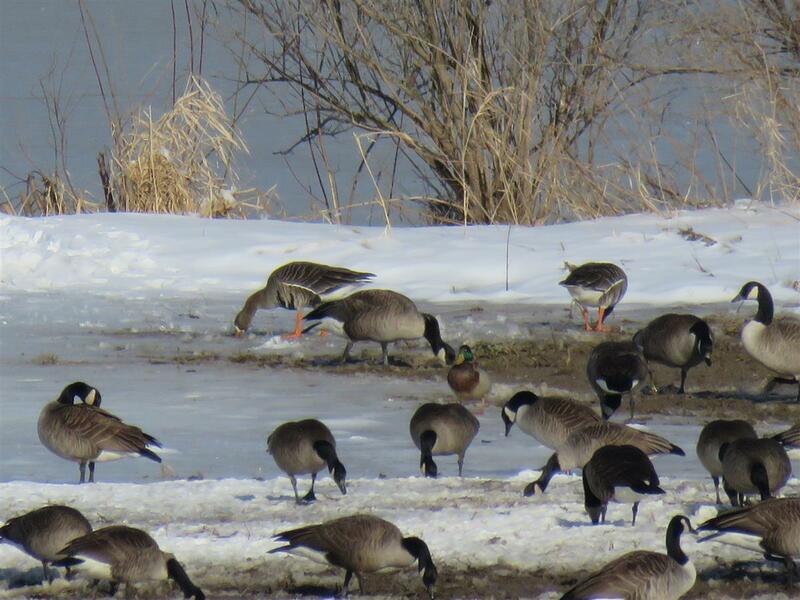 Two of the four Greater White-fronted Geese found by Barth on the 4th in Langford. Photo taken on the 5th. 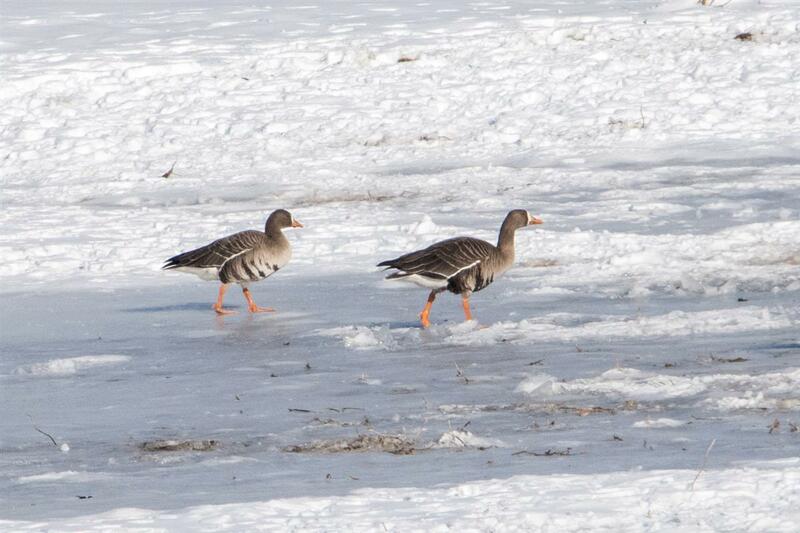 Two of the four Greater White-fronted Geese found in Langford on the 4th. It seems they were only a two-day wonder. 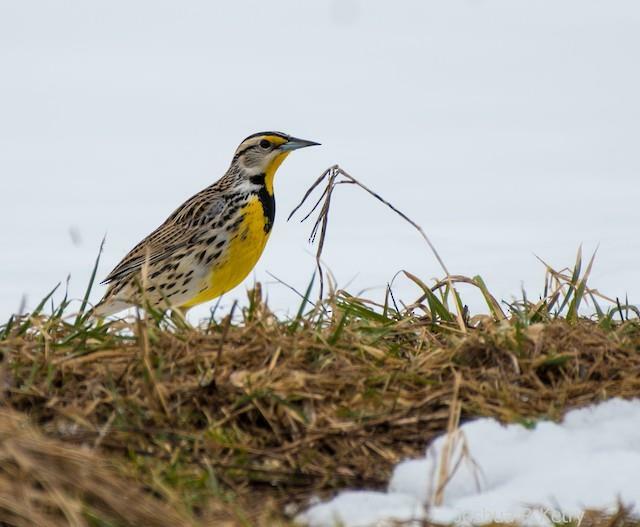 Joshua Ross Ketry found 15 Eastern Meadowlarks in Lawtons, NY on the 7th. These are the first reported of the spring! 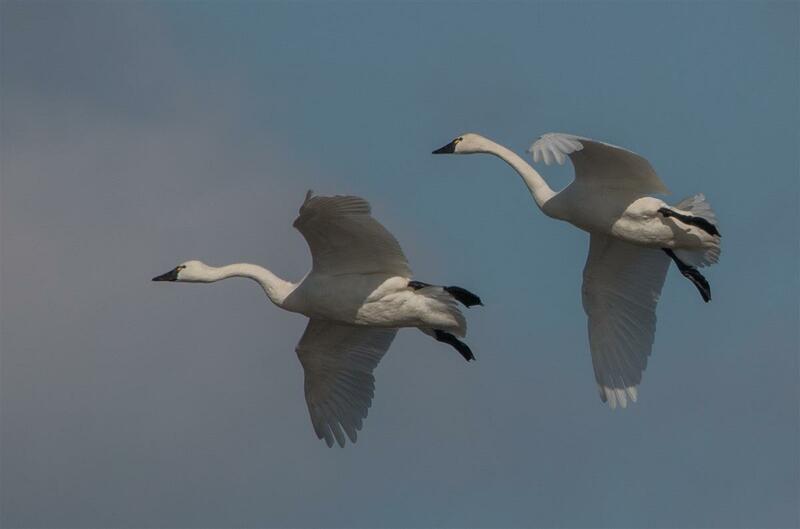 Tundra Swans coming in for landing in a flooded cornfield in Niagara County. 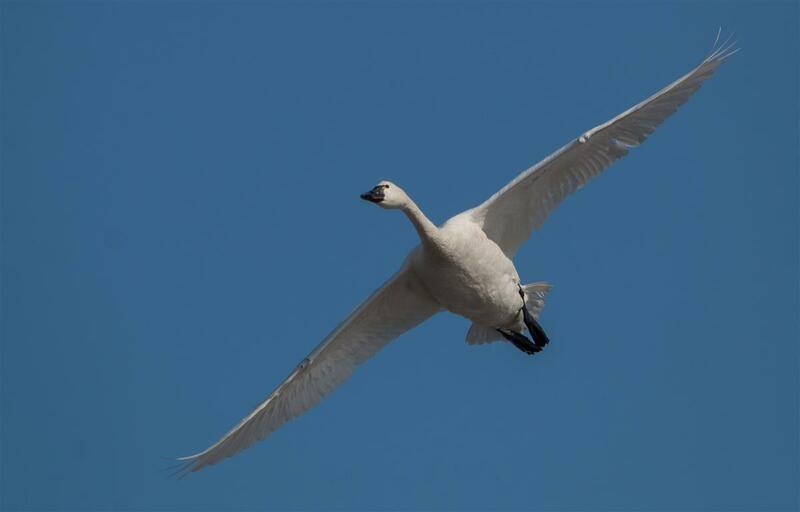 Tundra Swan in flight in Niagara County. 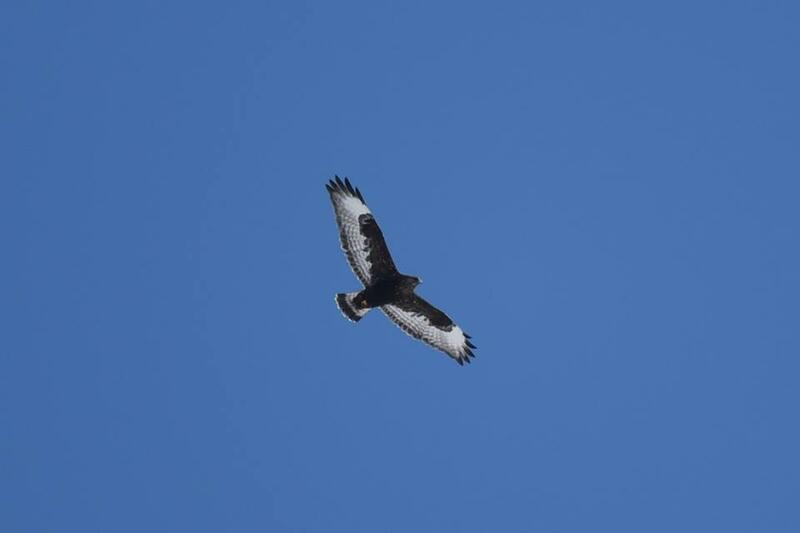 While conducting the hawkwatch in Hamburg NY on the 17th, Mike and Wendy Zebehazy photographed this brilliant and stunning adult female dark morph Rough-legged Hawk. Another image of the adult female dark morph Rough-legged Hawk photographed by the Zebehazys at the Hamburg Hawkwatch on the 17th. 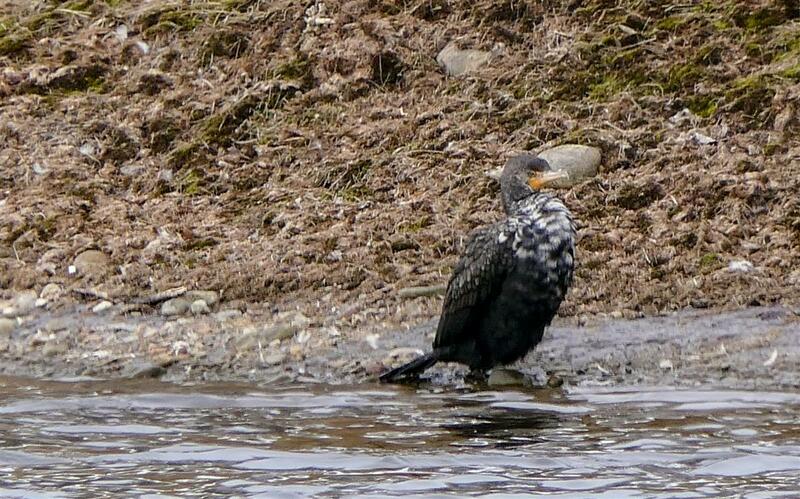 Gale VerHague photographed this partially leucistic Double-crested Cormorant at the pond behind the Fredonia, NY Walmart on the 21st. 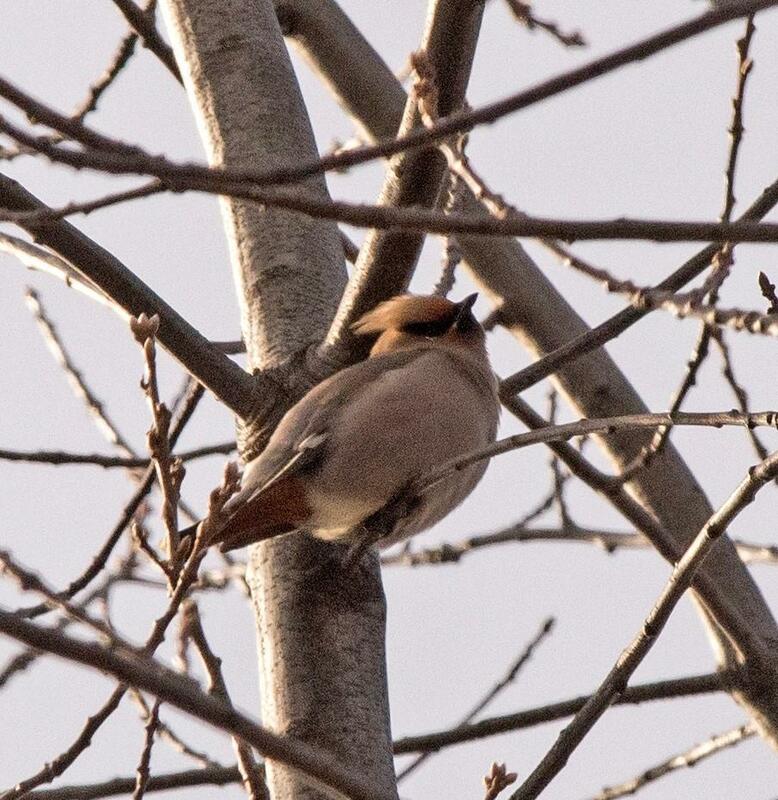 Willie D'Anna photographed this Bohemian Waxwing in his Wilson yard on the 22nd. 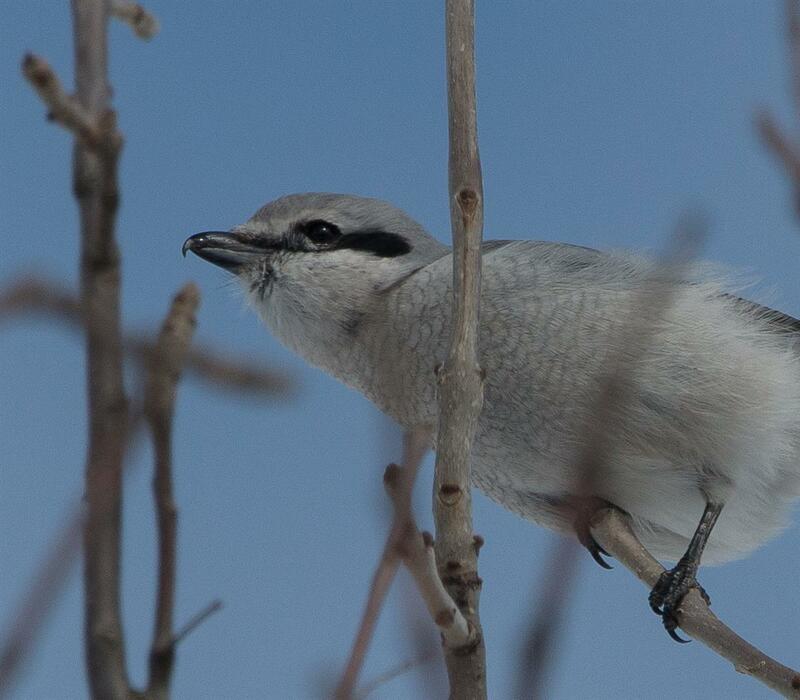 This bird was mixed in a flock of 100 Cedar Waxwings. 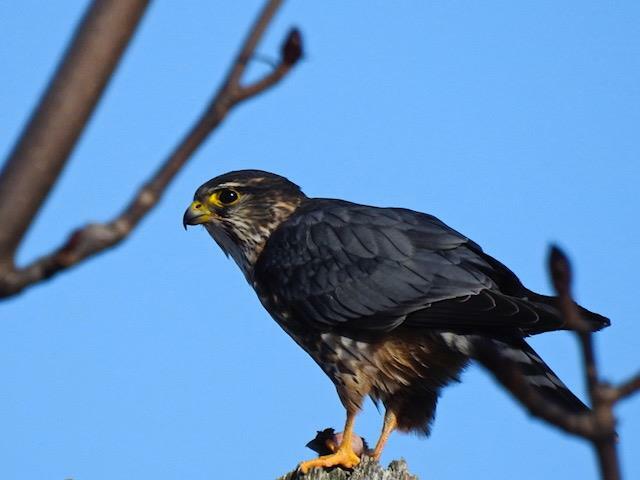 Aaron Barber photographed this beautiful adult male Merlin in his Buffalo backyard on the 24th. 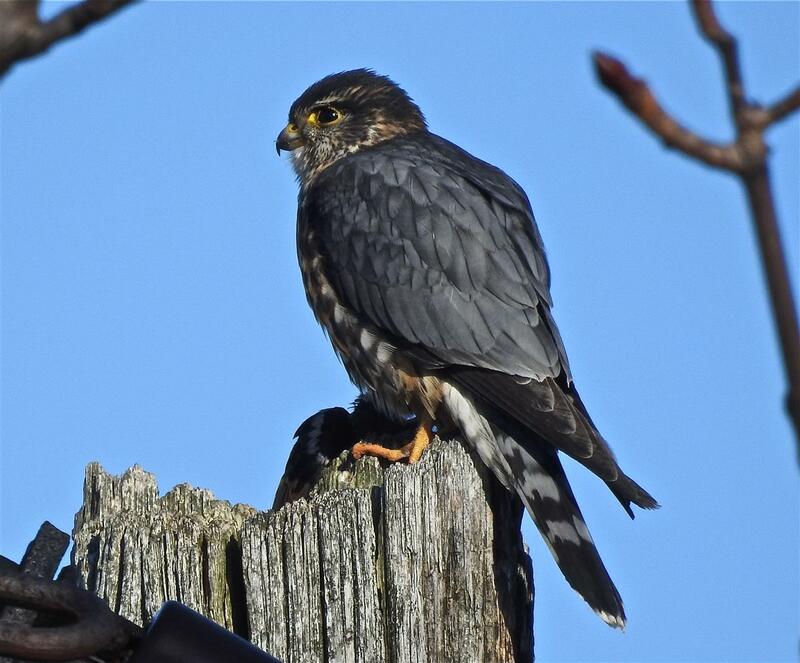 Blue Jack, also known as an adult male Merlin, in Aaron Barber's Buffalo backyard on the 24th. 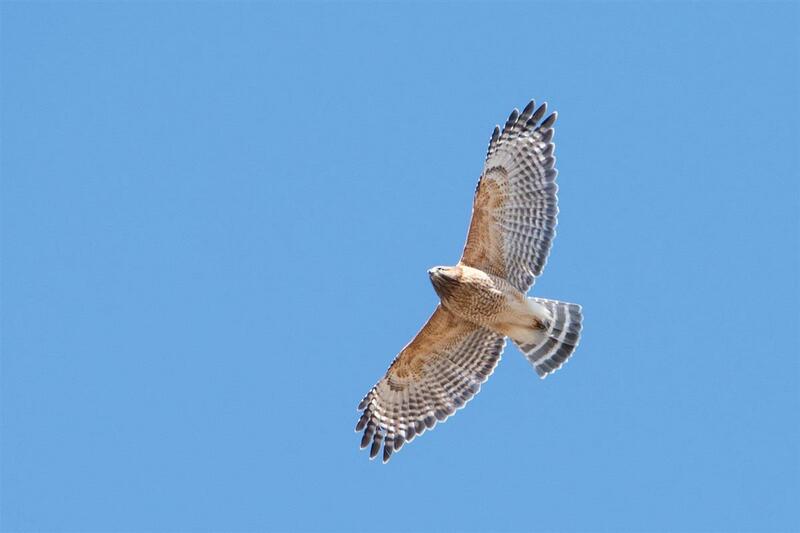 A gorgeous Red-shouldered Hawk gave great, low views at the Hamburg Hawk Watch on the 24th! 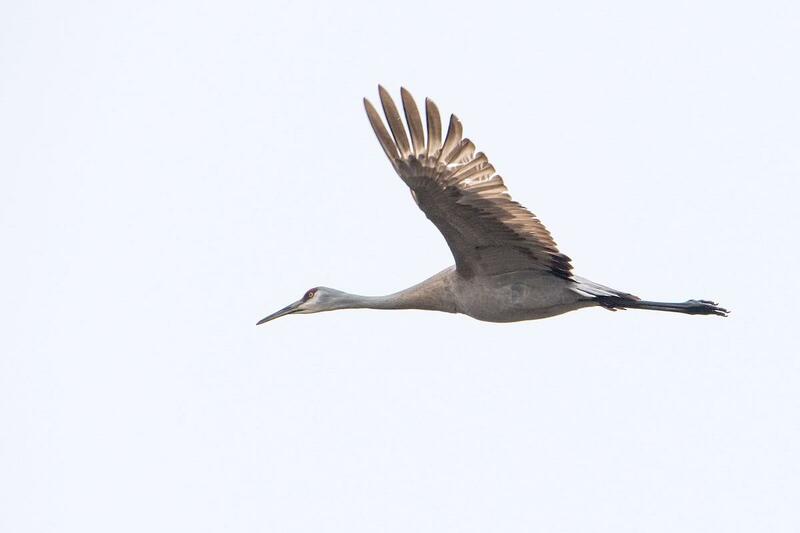 Chris Bertola saw this Sandhill Crane flying low over Birdsong Parklands in Orchard Park on the 30th. 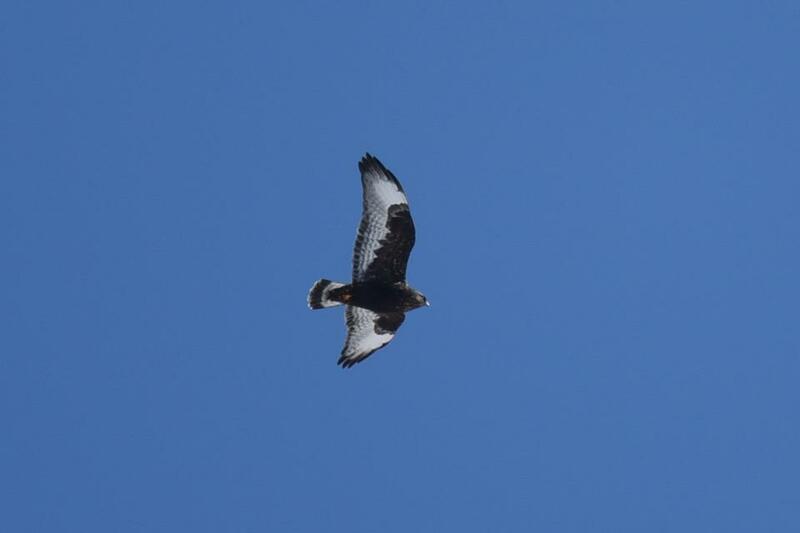 Sue Barth joined him and relocated the bird, getting this photo. 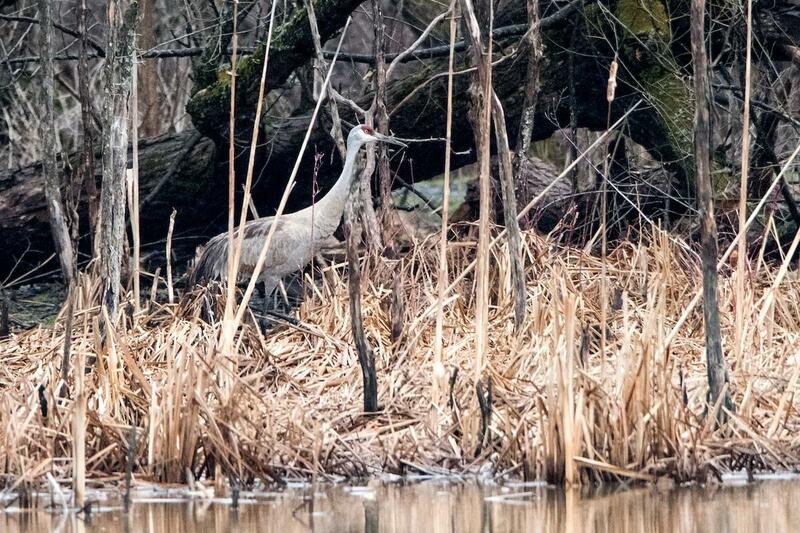 Sue Barth photographed this Sandhill Crane at Birdsong Parklands in Orchard Park on the 30th. Chris Bertola initially had the bird flying low over the park. 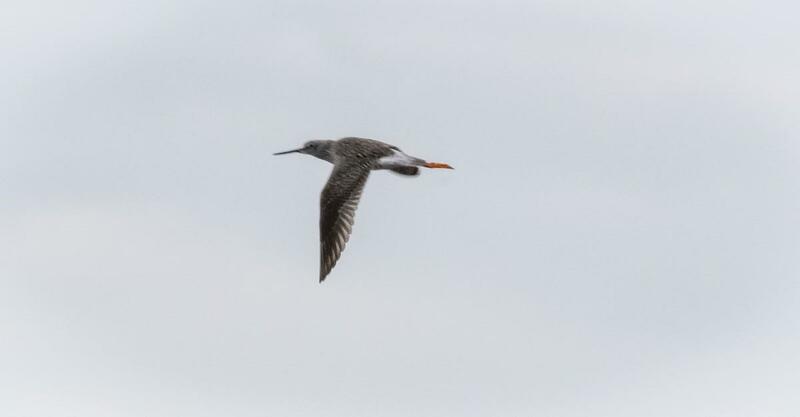 On the 30th, Gale VerHague photographed this Greater Yellowlegs at Sheridan Cemetery in Chautaqua County. A nice record for this unusually cold spring season! 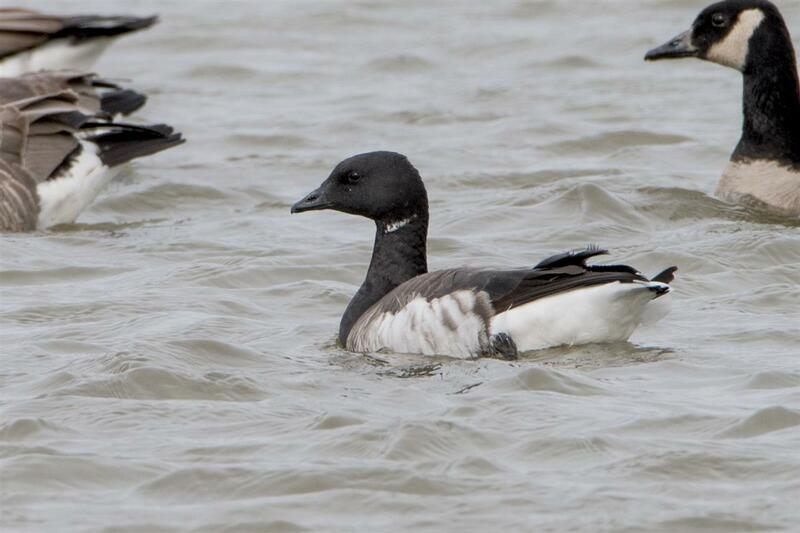 Here's a photo of the Brant that showed up on the 31st in southern Erie County in the town of Langford. What a crazy find this time of year along Lake Erie! 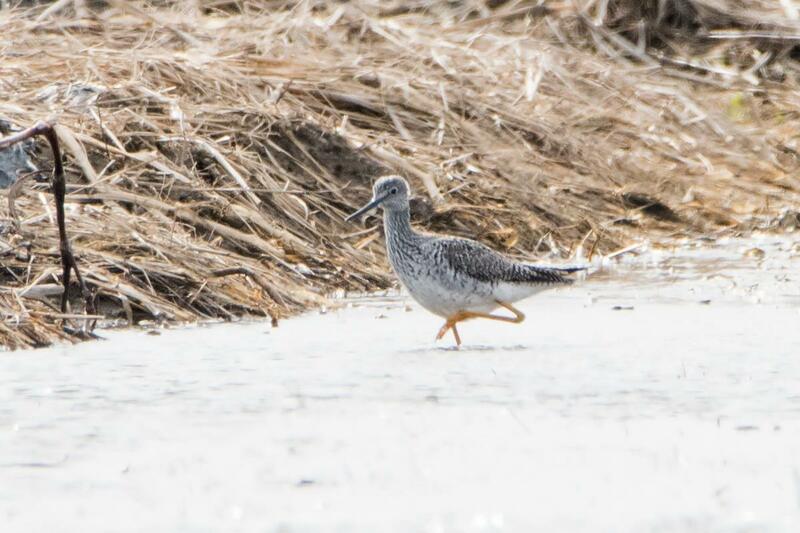 I was surprised to find this Greater Yellowlegs in Brant on the 30th. It didn't stay long - hopefully, it flew somewhere warmer! Pine Siskin. 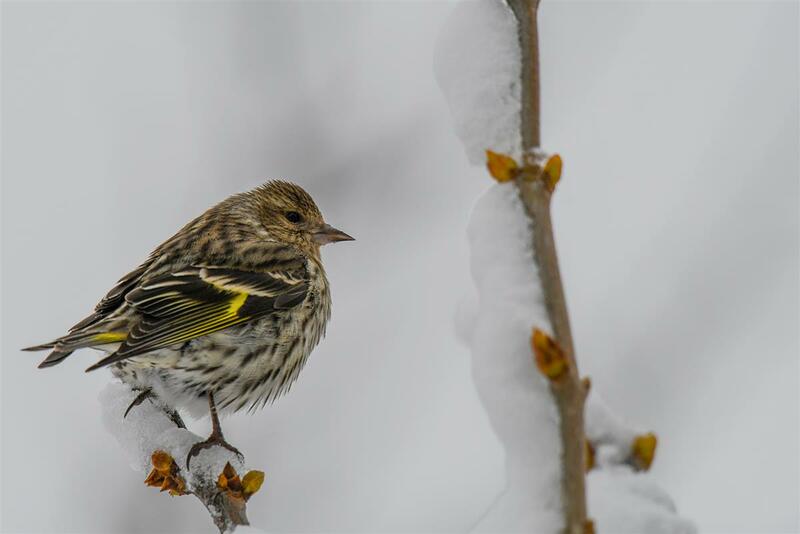 Snow storm brought many Pine Siskin to the feeders. 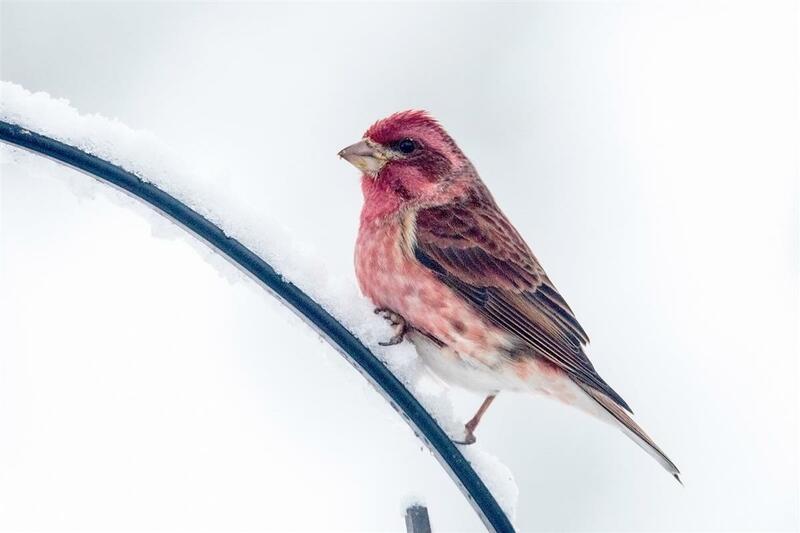 A couple of Purple Finches made their way to our feeders in Orchard Park on the 2nd. It was a blustery winter day and I wonder if the snow brought them. Adult male Purple Finch. 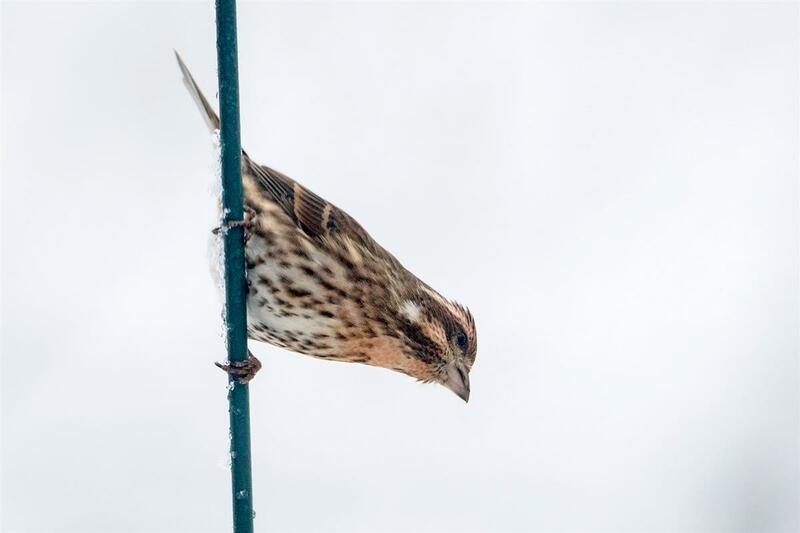 A couple of Purple Finches made their way to our feeders in Orchard Park on this wintery, blustery day! First winter male Purple Finch. 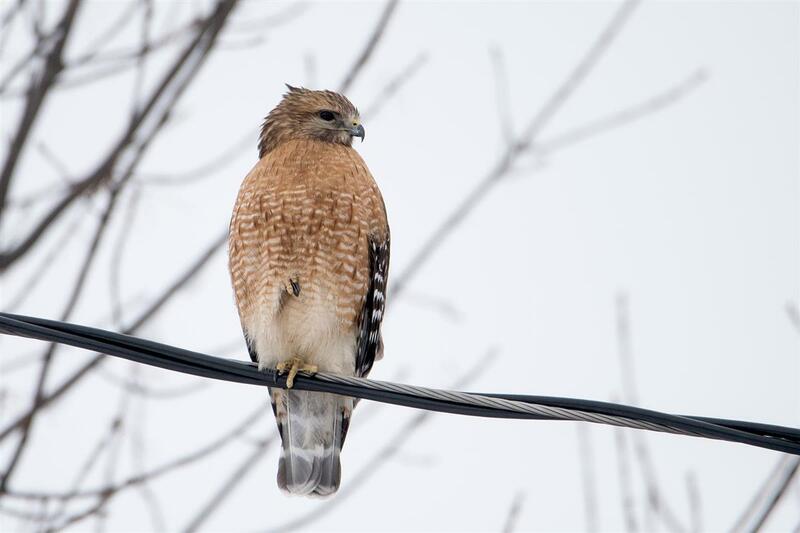 An adult Red-shouldered Hawk perched on a power line. I don't usually see them perched in the open like this! Taken in southern Erie County on the 3rd.